All families experience the same problem. The memories we’ve captured in photos and home videos are tucked away and rarely shared. Do you have home movies trapped inside old boxes in garages, attics and closets, fading away... waiting to be converted “some day”? At times like this - when a loved one dies - we realize how precious these memories are. And how important it is to preserve them for future generations. iMemories helps people preserve, enjoy and share the memories they've captured on film, on videotape, and in photos - before they're gone forever. When it comes to bringing your film, videotape and photos into the 21st century, they're the experts. They will bring all of your memories, whether it be on 8mm film, VSH, photos, etc and transfer them to DVD or online to social networking sites. First you gather up your old movies and photos. No sorting or labeling is required. Send it as-is to iMemories. They will track your shipment 24/7. Then they convert your movies and memories into a crystal-clear digital format. You can enjoy full length video and photo slideshows. You review them online before you buy. 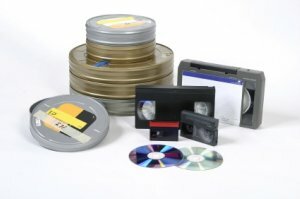 They sort, label and organize your memories, and turn all your original home movies and photos into studio quality professionally packaged DVDs. If you choose you can store your videos and photos online and upload more. Store And Share All Your Memories From One Place! You pay only for the photos and videos you want. Each dvd has an easy-to-navigate menu, with scenes broken down into chapters. Best of all, your memories are perfectly preserved for future generations.